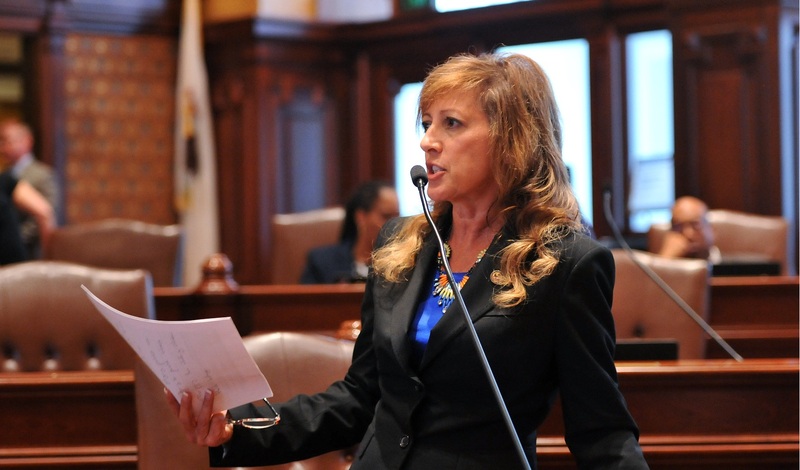 The bill passed the Illinois Senate this week unopposed, after previously passing the Illinois House. It is a specialized piece of legislation giving Aurora, developer Sho-Deen Inc. and ComEd until Aug. 1, 2020 to relocate a substation that sits in the middle of about a 30-acre piece of property along the river that Sho-Deen intends to develop. The entire 30 acres is south of Benton Street downtown. The city and Sho-Deen have a development agreement on the property signed almost 10 years ago. The development came to a halt due to the recession and the housing market bust, but Sho-Deen and the city have been talking recently about starting the project up again in some fashion. [The legislation] was sponsored in the Senate by state Sen. Linda Holmes, D-Aurora, and was co-sponsored in the House by state Reps. Linda Chapa LaVia (D-Aurora) and Stephanie Kifowit (D-Oswego). "The River Edge Redevelopment Zone program was designed to help developers take old, unused property and renovate it to meet today's needs," Holmes said. "We're simply making sure developers have enough time to make use of these incentives." The relevant section of the law was set to expire in July 2017 and is would be extended to Aug. 1, 2020 under the new bill. The legislation does not address extension of the River Edge Redevelopment Zones altogether. Those expire at the end of 2016, and Holmes has another bill in the Senate to extend that deadline, too. Chapa LaVia and Kifowit have supported similar legislation in the House. 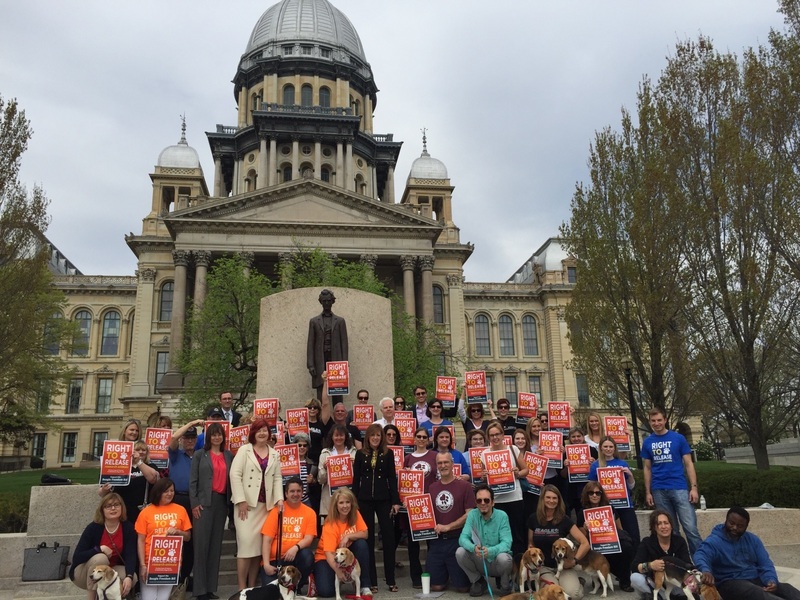 SPRINGFIELD, Ill. — A bill that would've required universities in Illinois to offer healthy feline and canine test subjects to rescue organizations has provoked a dispute between its Democratic sponsor and the University of Illinois. The initial legislation from state Sen. Linda Holmes of Aurora stalled after the university said it already has adoption procedures in place and several lawmakers questioned whether it was a solution in search of a problem, the Chicago Tribune reported. The measure is nicknamed "the beagle bill" because beagles are the breed of dogs most commonly used for experiments and the adoption effort is bolstered by the Beagle Freedom Project, an animal rights group that's successfully lobbied for similar legislation in Minnesota, Connecticut, Nevada and California. The goal is to prevent animals from automatically being euthanized when labs are done testing on them. Holmes argues that the University of Illinois doesn't support the measure because it has a vendetta against the Beagle Freedom Project and it doesn't want a spotlight shone on animal testing at its facilities. University of Illinois officials deny any mistreatment of the school's research animals. Spokeswoman Robin Kaler said the university's research animals are used in trials to test ingredients used in pet food. She said most of the animals are adopted and only some are euthanized so researchers can collect internal tissue for futher analysis. Between 2011 and 2015, 24 dogs owned by the university for research purposes were adopted, five were euthanized and one remains on campus, according to data released by the school. Holmes made several changes to the bill after the initial version was shot down. Last month, she proposed requiring universities to publicly post animals available for adoption online, and most recently proposed requiring universities to make their animal research protocols public. But the University of Illinois continues to argue that the legislation isn't needed when most of its animals already found homes. The changes were met by conflicting opinions from lawmakers who didn't see the need to override experts and others who didn't see any harm in enforcing new regulations. Read the original article as published at the St. Louis Post-Dispatch here. What initially seemed like a feel-good animal rescue bill has sparked a fight between the University of Illinois and a lawmaker who says the state's largest public university is deliberately withholding information about its animal research programs. 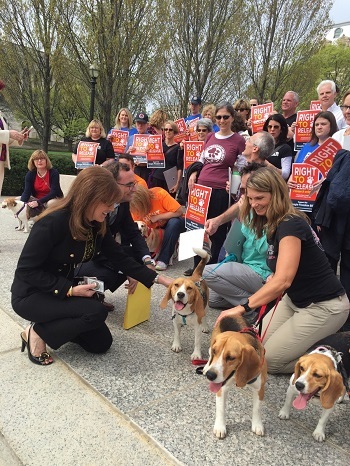 Under a measure nicknamed "the beagle bill," Sen. Linda Holmes started out wanting to require universities to offer healthy cats and dogs to rescue organizations when they are no longer needed for testing. The Democrat from Aurora, who describes herself as a longtime animal lover and former Humane Society volunteer, argues that since research dogs and cats cost thousands of dollars, taxpayers should be given the chance to adopt the animals. Beagles are the breed of dogs most commonly used for experiments, and the adoption effort is being pushed by the Beagle Freedom Project, a group that has successfully lobbied for similar legislation in Minnesota, Connecticut, Nevada and California. The idea is to prevent research animals from automatically being euthanized. But the legislation has stalled after heated debate at a hearing where universities led by the U. of I. said they already have adoption polices in place. As such, several lawmakers questioned weather Holmes' bill was a solution in search of a problem. State Sen. Linda Holmes issued the following statement after voting for a measure that would enact automatic voter registration in Illinois. Senate Bill 250 passed the Illinois Senate 42-16. It proceeds to the Illinois House for consideration.